Really be cognizant of the tee boxes you play. Just because you are used to playing a certain yardage at your home golf course doesn’t mean they are the tees you will enjoy while visiting other golf courses. Playing golf in the mountains is a special treat that should be enjoyed while shooting a great score. 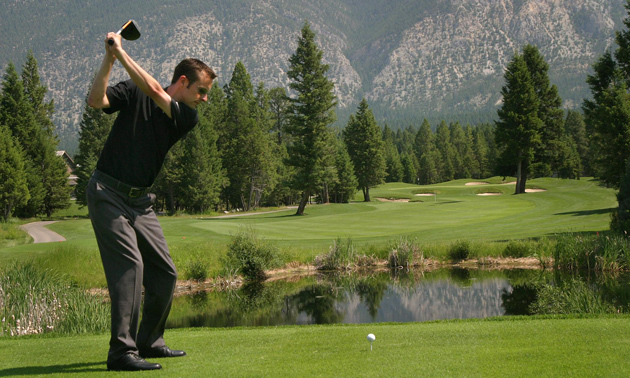 Overall Eagle Ranch is a very playable golf course, as there are numerous sets of tees for all abilities. There is a visual intimidation factor at Eagle Ranch due to the numerous ravines we have running through our golf course; however, this also elevates the WOW factor. The difficulty is only visual and, should you rely on the GPS units for the shortest crossings, the carries are extremely makeable for players of all skill levels.